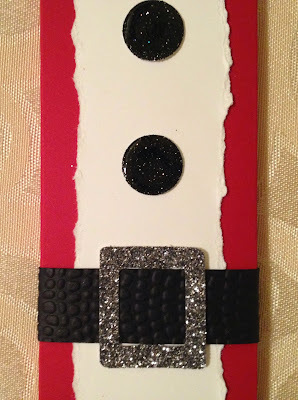 Thanks for joining me today on the Festive Friday Blog Hop! If you came here from Jamie's Blog then you are on the right path. This hop is a circular hop so if you keep going you'll come right back here after seeing lots of fun holiday items! 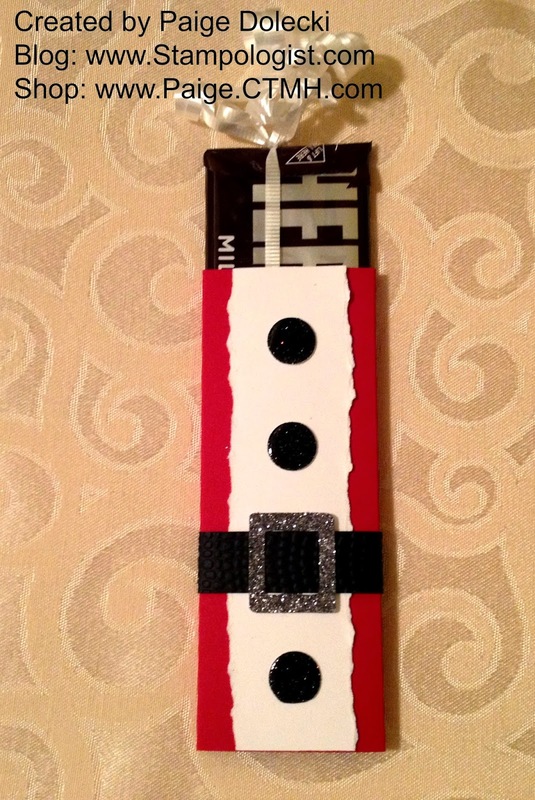 For today's hop I'm sharing a project I've made for a boutique show I'm doing tomorrow - an adorable Santa Claus Hershey Candy Bar Pull. 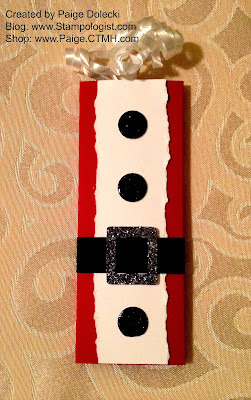 The idea for these has been around for years but this year I upped my ante on these cuties by using our Glitter paper to make the buckle and the buttons for Santa's coat. I love the way they came out! I added a layer of Liquid Glass on top of the black glitter circles to give them extra dimension and shine - they really do look like magic buttons. I even embossed his belt to look like leather. I know, I know, I was having too much fun! The boutique show is tomorrow night so wish me luck! I've made a bunch of different projects for sale at this show and I also have a couple of other shows lined up now too. Its kind of an "in for a penny, in for a pound" type of thing as I just kept crafting like a mad woman over the past couple of weeks. I might even post a few things on my blog for sale in the next couple of weeks for quick stocking stuffers so if you are interested, send me a note! Now hop on over to Mary Ellen's Blog and see what she has to share this month! Cute gift idea for teachers!! Thanks for the inspiration!! Clever idea! 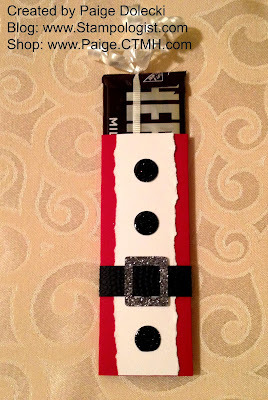 Cute and inexpensive gift idea. I love your candy bar wrapper.